Aaron Roochvarg sports an award-winning smile. He’s there at the door, enthusiastically greeting customers when they enter the store and asking if they need any assistance finding items. “How did you hear about ZABS Place?” he asks. “You are very welcome!” comes the reply. It’s just a few minutes after 10 a.m. (opening time) and a stream of people file into ZABS Place in the charming town of Matthews, a 20-minute drive from Charlotte, N.C. 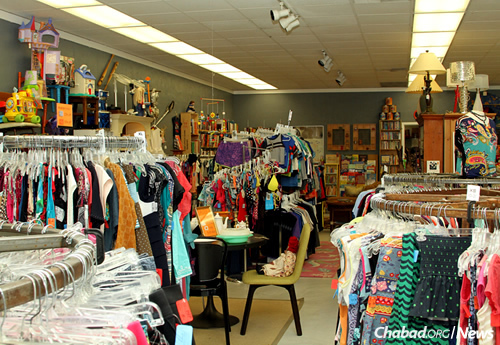 There is a buzz around town about the quality and selection of clothing, books, games, toys, home goods, handbags, greeting cards and more at this thrift boutique that opened nearly three years ago. In one part of the store, three teenagers sip frozen drinks and banter about whether or not an outfit “looks cute.” In another, mothers with kids in tow throw a few outfits over their arms, heading for the dressing room. 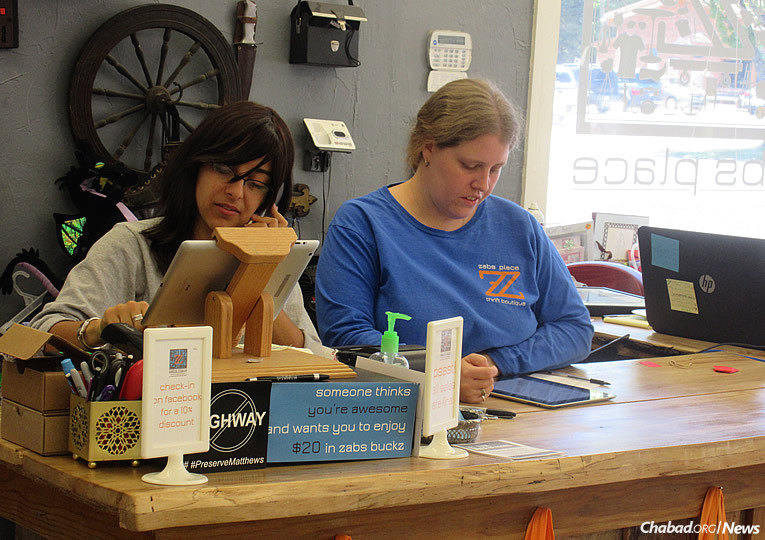 All the while, half-a-dozen young adults with special needs are doing their jobs in every area of running a business. Roochvarg, 27, continues to greet and assist customers. Erin Keeter, 28, is organizing children’s games. And Jonathan Gale, a 22-year-old employee who has been with the store from the start and now works 10 hours a week, is shelving books. He picks up a holiday cookbook and perceptively asks his supervisor, “Should this book be here? It is not near holiday time!” She suggests he move it to another section. 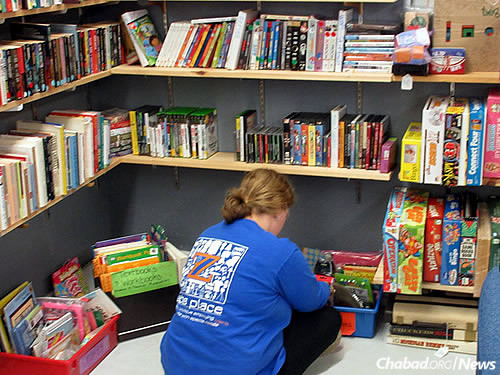 In the back corner of ZABS Place, Cammie Wilson, 25, is straightening books and games on a high shelf as employment coordinator Alison Dugo, 30, looks on. “If you can’t reach this, what you should do?” asks Dugo. Wilson carefully considers the question and suggests bringing a ladder next time. In many ways, ZABS Place is intentionally designed to be a training ground and stepping stone to future employment elsewhere in the community. While Dugo is working with Wilson, Rochel Groner—co-director of ZABS Place and Friendship Circle of Charlotte, with her husband, Rabbi Bentzion Groner—is up front with Keeter, patiently going over how to use the store’s scheduling program on the iPad to request time off. The young woman and her family are planning a trip to Canada in a few weeks, and she is learning the various drag-down menu options, which include vacation days, sick leave and time needed for a personal or family emergency. 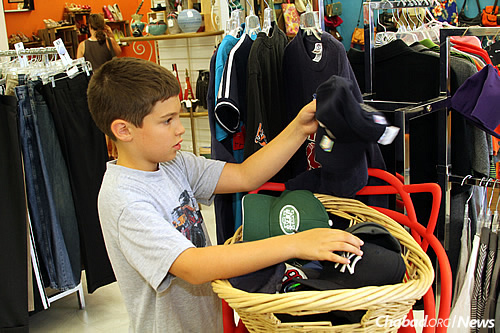 Keeter works in the store Mondays and Thursdays sorting children’s clothing and organizing the toy section. She is also one of the artists and craftspeople with special needs who have signed a consignment agreement with ZABS Place to sell their creative works. She photographs flowers near her home and makes them into greeting cards. “I sold three last week!” she reports. Hannah Strunck, 18, is also a consignor, making bath crystals, balms and creams at home to be displayed and sold at ZABS Place alongside jewelry, journals and non-noise-producing fidget toys. Hannah’s older brother, Andy, 27, works at the store two days a week for 90 minutes each day, cleaning floors, hanging clothes, and dusting shelves. He comes with his longtime-care staff member, Aaron, who serves as a job coach. 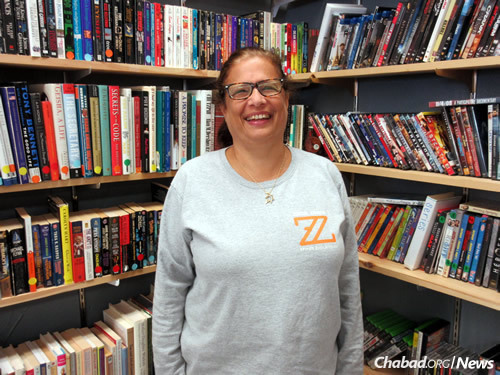 For the Strunck family, ZABS Place is more than a vocational training program for their children; it is a source of Jewish pride and identity. 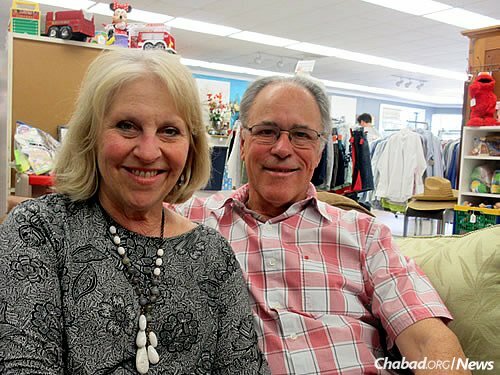 While the main indicators that the store has a Jewish affiliation are the mezuzahs on all doors and a sign indicating that it is closed on Shabbat (it’s open on Sundays from noon to 6 p.m.), ZABS Place has become a second “Jewish home” for the Struncks. They’ve joined the Groners for Passover seder, and their children have participated in Friendship Circle. Cheryl Slane and her family, former members of the Charlotte Jewish community now living in New Orleans, agree wholeheartedly with the sentiments expressed by the Struncks. Numerous Charlotte families have gotten to know the Groners through their children’s participation in Friendship Circle, which in many ways was the birthplace for ZABS Place. Rochel Groner adds some important details in the evolution and growth of ZABS Place. 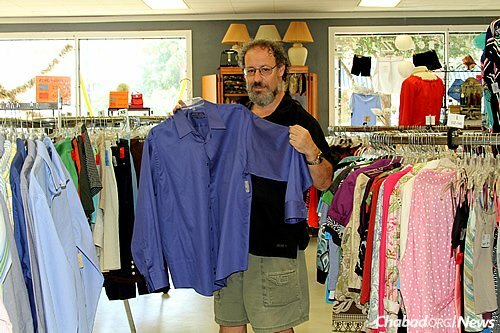 Dave Krikac, the store’s founder, was very helpful in providing guidance about the ins and outs of starting and running a thrift shop. When the Groners returned to Charlotte from Tennessee, they met with the Gales and discovered that they, too, had been thinking about starting a business for people with special needs. When she and Bentzion married in 2005, they moved to Charlotte. In 2007, she began working with Bentzion at Friendship Circle International, an organization that creates chapters in local communities to foster relationships and friendships between typically developing teens and children with special needs. Through her work with Friendship Circle, Rochel acquired a great deal of experience in working with people who had all kinds of abilities. “We know from Friendship Circle that everyone is unique, and has hidden qualities and something to share,” states Bentzion. In imagining a workplace for people with special needs, the Groners strongly believed that employees with special needs would develop social skills through their jobs. Truth be told, “there were a lot of ups and downs” on the road to starting a thrift store, attests Rochel. “We looked at 25 places in a year and a half,” adds Bentzion. “Even when it got tough, people like the Gales stood behind us,” helping with fundraising and much of the behind-the-scenes work. Throughout the sometimes challenging startup process, the Groners stood fast to their sense of mission and their dedication to the people they serve. “It was a community effort—totally a partnership,” says the rabbi. Many helped gather, transport and store merchandise, as well as remove room dividers, strip and repaint walls, and more. They credit Rochel with an eye for business and an easy demeanor. “Rochel is sweet, dedicated, hardworking and intelligent. When we met, I thought she was too young to work,” jokes Ruth Singer-Strunck, commenting on the 30-something’s young appearance. Work she does, 24/6, her only day off being on Saturday, the Jewish Sabbath, when the store is closed. 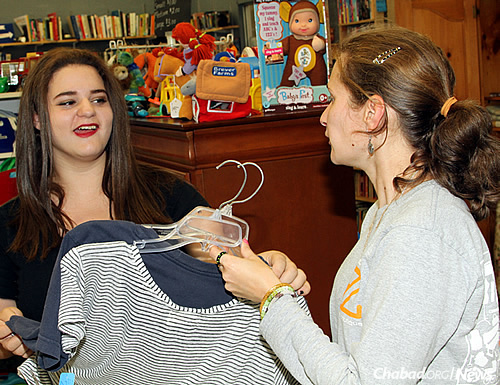 Another fan of the Chabad emissaries is Lisa Shporer, a community member with more than 10 years of retail experience. Shporer volunteers 20 to 30 hours a week, and sees herself as the “snow-globe shaker” since she is known for “shaking things up” at ZABS Place. Her connection to the Groners and ZABS Place is uniquely personal. Her son, Zachary, died of leukemia in 2012, at the age of 19. He was a student at the American Hebrew Academy in Greensboro, N.C., and an active volunteer with such organizations as the Special Olympics, student council and Friendship Circle. 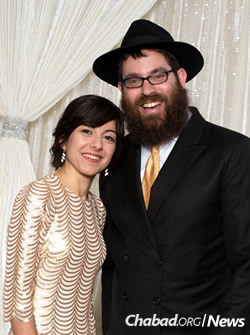 The Groners, who had a special relationship with Zachary, approached the family at shiva about “doing something in his merit.” They decided to name the soon-to-be opened ZABS Place in his memory, using the initials of his Hebrew name: Zechariah Avraham Baruch. A sign and picture near the checkout station explains the origin of the store’s name. 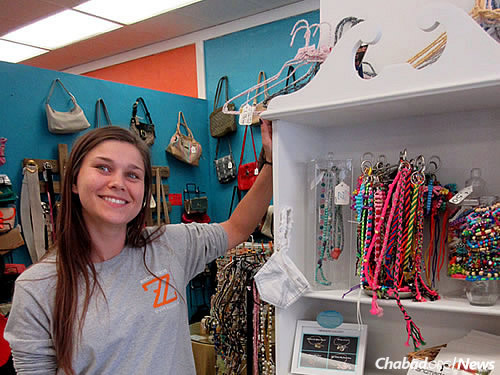 Customers say they appreciate the variety and quality of merchandise at ZABS Place as well as the mission behind it. They learn an important lesson about people, in particular, the abilities of people with special needs. 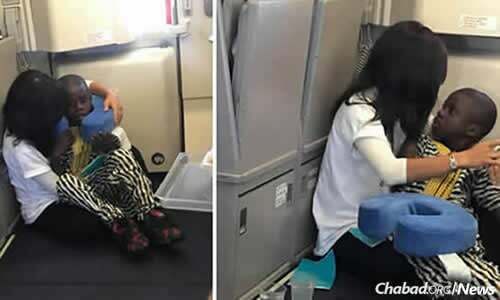 Photographs of Rochel Groner helping a child with autism on a transatlantic flight went viral on Facebook. In fact, the general population got an opportunity to witness Rochel’s abilities firsthand. Several weeks ago, Rochel and Bentzion were on a flight back to the United States, via Belgium, after chaperoning a Birthright Israel trip. About an hour into the flight, a young boy with autism began screaming and crying. Passengers began getting upset, and the mother seemed unsure of what to do. Rochel approached the boy with her hand out, which he grasped; the two then spent a few hours playing near a bulkhead on the plane. A photo posted by Bentzion on Facebook went viral, generating more than 6,500 Likes. 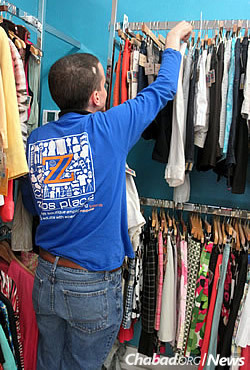 Len Weinstein browses through the wide variety of items at ZABS Place. 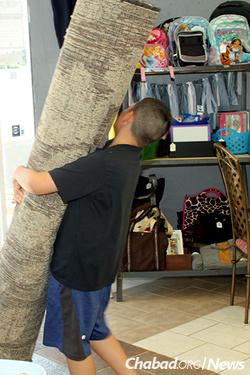 An inside perspective of special children, their families, volunteers, community members and Friendship Circle coordinators who bring them together.